Our mission at Sean Rush Dental Laboratory is to offer the very best of our technical abilities to our clients and their patients. We ensure quality dental restorations by maintaining a close working relationship between our clients and the laboratory. In addition, we have committed ourselves to continual education to improve on our technical skills. 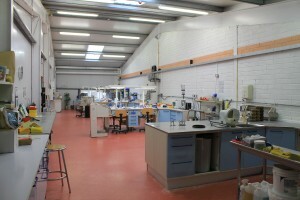 Sean Rush Dental Laboratory was founded in 1993. Sean previously worked in a number of labs where he gained vast experience. 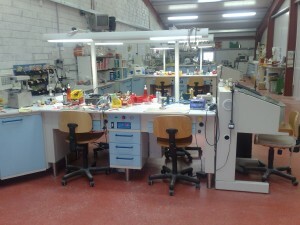 At Sean Rush Dental Laboratory we believe in new technology and further development of the lab by doing courses when possible and attending dental trade shows to keep in touch with the latest innovations. We are always committed to invest in new equipment and our state of the art CAD/CAM System is just the latest. We have always been committed to delivering a high quality product and adapting to meet our clients needs as they require.